After several months of development we are proud to announce the immediate availability of cubeSQL 5.5.
cubeSQL 5.5 is probably the most stable version we have ever released, it also includes several performance related changes that you’ll immediately noticed when compared to older versions. SSL support has been greatly improved and thanks to Tino Gruse from Roth Soft AG we now have a complete and detailed guide about how to Setup SSL. With this version we also introduced some important changes related to pricing. The freeware version key continues to be free but the number of concurrent users has been reduced from 3 to 2. In order to try to incentivate the upgrade to this latest version we are offering (for a limited time) the unlimited version for just $99 (a $500 saving). 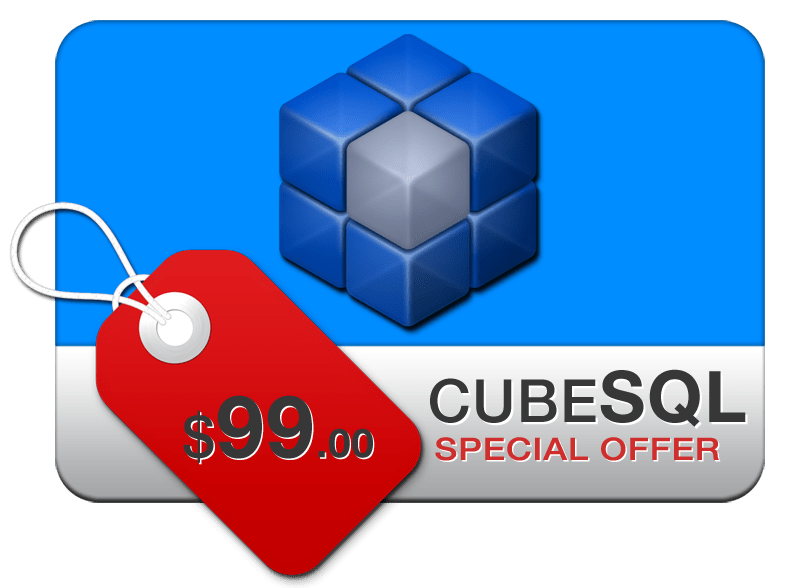 cubeSQL is available for MacOS X (32 and 64bit), Linux (32 and 64bit) and Windows (64bit only).